Get out your mouse ears, slap on some sunscreen and get ready to learn about digital photography, Photoshop, Lightroom and a whole host of stuff. 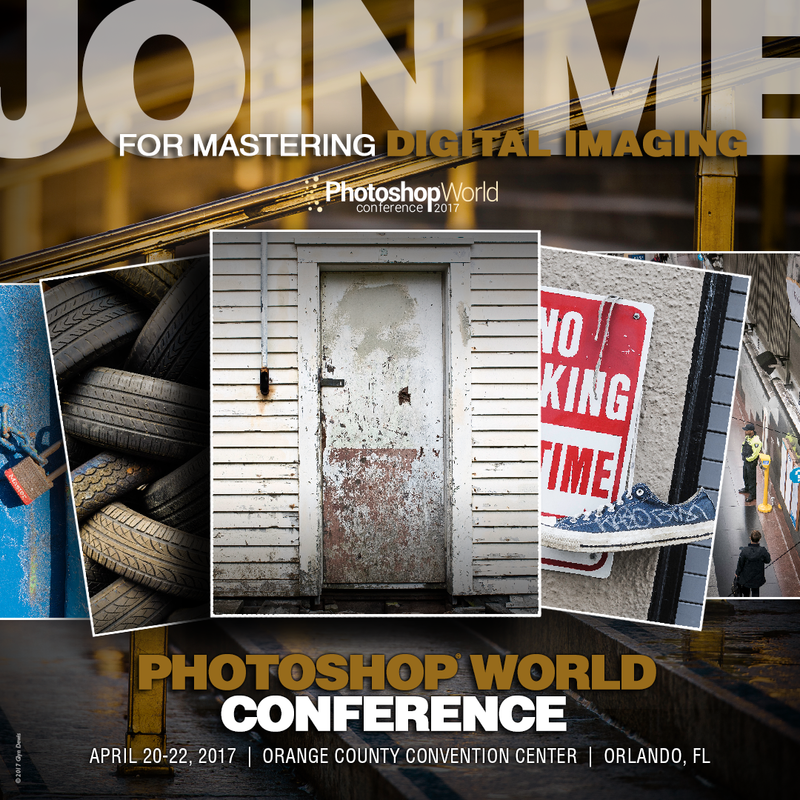 That’s right; I am getting ready to return to one of my favorite places to teach—Photoshop World. This year Photoshop World is going to be in Orlando in April. I am so honored and thrilled to be returning to get to hang out with the Kelby One team and all the amazing instructors that are going to be teaching there this spring. I know that I am excited to see classes by Stacey Pearsall, Moose Peterson, SharkPixel, Dave Clayton, Glyn Dewis and a host of others. So much to pack into such a short time and I am sure my head will be filled with visions of pixels dancing when I leave. As for me, other than learning tons in amazing classes, I am going to be teaching two classes and doing portfolio reviews. My first class is on sharpening in Lightroom. In this session, we are going to talk about everything in the Details Panel in Lightroom and then how to properly apply creative sharpening, and finally focus in on output sharpening to get the best from your prints. My next class is on fine-art printing in Photoshop. In this session, we are going to be covering all/most/nearly everything you need to think about when creating amazing prints. Starting with selecting the right paper, color management and preferences to signing and matting your photographs. We will cover the A-Zs of the fine art print all in just under an hour. To be honest, we won’t cover it all, but I am taking a speed speaking class to pack in as much as possible in that hour. Finally, one of my favorite things to do is to sit down with photographers and talk about their work. I am excited to be able to participate in the portfolio reviews. It is a chance to look at some amazing work and give some feedback that can hopefully really make a difference in someone photography. I hope you can make it down to the conference and if you are going, don’t hesitate to come up and say hi. After all, we are all there to get to meet new and exciting people so don’t be shy. See you there!